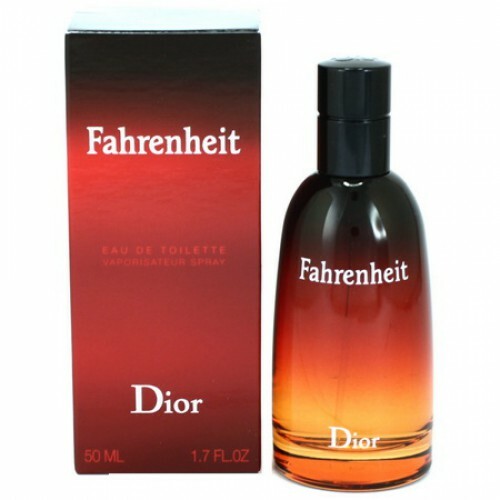 Christian Dior Fahrenheit is a sensual eau de toilette for men contradictory. Christian Dior Fahrenheit 100ml. Eau De Toilette is a sensual eau de toilette for men contradictory. The aroma perfectly combines fragility with power and masculinity with tenderness. Explosive chords of bergamot and lemon are complemented by fragile hawthorn flowers and lavish lavender. In the heart of the scent, the violets of flowers, which are sensitively shrouded in the aura of sunlit amber and exclusive beeswax, are boldly spreading. The warm aroma of Fahrenheit fragrance is complemented by sandalwood and cedarwood. You will finally feel the charismatic skin. Christian Dior Fahrenheit toilet water can be used on every occasion and every season. It is specially designed for real men who hide delicate skin under the rough skin. The fragrance was launched in 1988. You, like an ancient pilgrim, walked a hundred roads and trampled dozens of pairs of shoes? Have you been looking for fragrant water for a long time? Such perfume, over which time will not be powerful? Stop and catch your breath, your quest has been crowned with success. Fahrenheit Eau de toilette by Christian Dior is the best example of ageless classics. It was released a little bit, 20 years ago and still has not lost its relevance. This toilet water, like a good wine, will only get better over time. The hands of the clock are running, the sheets of calendars are turning around, but nothing is able to make Fahrenheit obsolete. The fragrant play consists of green, woody chords, refreshing, invigorating and nudging philosophical meditations. The upper note of the work is represented by noble cedar wood. Average note - inimitable honeysuckle. And the basis of the composition is exquisite hawthorn.